These durable, brightly colored cat toys are made of polypropylene rope and are irregularly shaped for unpredictable movement that ignites raw cat play! Pet owners can choose between catnip infused Puma Paws or Puma Paws that do not have catnip, specially for cats that don't like catnip. 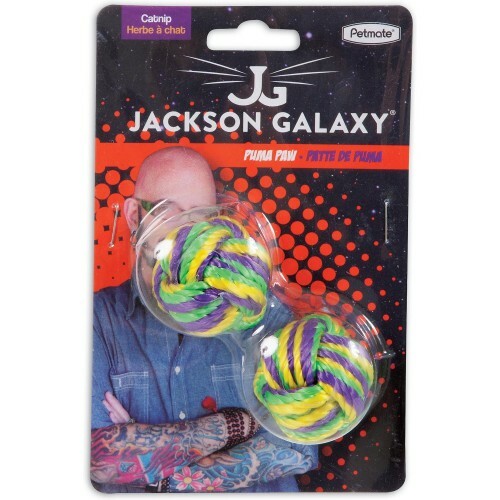 Jackson Galaxy Puma Paws come in packs of two and are great for tossing and bouncing if your cat likes to play fetch! The Jackson Galaxy Puma Paw is sure to offer something for cats of all types!